Obituary for Nora Agnes May McDonald | Providence Funeral Homes & Crematorium Inc. 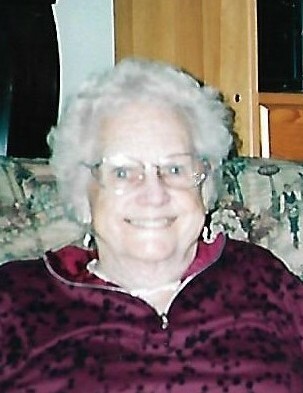 The family of Nora Agnes May McDonald (Poapst) are saddened to announce her passing on March 31, 2019 in Osoyoos, B.C. Nora was born on June 29, 1920 in Winnipeg, Manitoba to parents John and Agnes Poapst. Nora married Gerald McDonald on November 2, 1940 in Edmonton, Alberta. They had 4 sons, Larry (Elaine), Keith (Cathy), Brock, and Patrick (Leslie). She leaves behind 7 grandchildren and 4 great-grandchildren. Nora was predeceased by her husband of almost 70 years, Gerry, her brother Tom and sister, Peggy. A wonderful mother, Nora raised her boys in Edmonton and Ottawa. She and Gerry moved to Osoyoos in retirement where they enjoyed many wonderful years in their lakefront home with its beautiful gardens. An avid curler, she was active in the Ottawa Women’s curling scene and continued her passion in Osoyoos where on one occasion she skipped her team to a seven ender in the Senior’s league. They made many fond memories with family and friends, usually while dining on one of mother’s home cooked meals. Mother had a life well lived and she will be missed dearly. A private family Celebration of Life will be held at a later date..